Dr. Conry was the 64th President of the American College of Obstetricians and Gynecologists, a membership organization representing over 57,000 practicing obstetricians and gynecologists. She has led guideline development and national policy on the important role of Reproductive Health and the Environment and was awarded the U.S. Environmental Protection Agency Pacific Southwest Region Children’s Environmental Health Champion Award. She is leading the Women's Preventive Services Initiative, a national collaboration to define and implement optimum women's health services across their lifespan. She has led efforts on Quality and Safety in Maternity Care through improved standards and responses in high-risk obstetrics. For 28 years, Dr. Conry was a practicing obstetrician gynecologist at Kaiser Permanente (KP), the largest health maintenance organization in the United States. She served in a leadership capacity as the Assistant Physician-in-Chief for KP's Sacramento Roseville region. She developed the Women and Children's Center, the largest obstetric delivery service in KP. 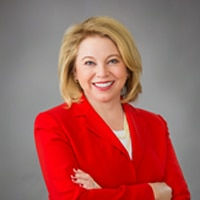 Dr. Conry currently serves as President and CEO of the Environmental Health Leadership Foundation, an organization that spearheads efforts to improve the health and well-being of women through systematic changes in health care delivery with a focus on the environment. She sits on the Executive Board for the International Federation of Gynecology and Obstetrics and co-leads their working group on Reproductive Developmental and Environmental Health. She received the Visionary Leadership Award from the University of California, and the U.S. House of Representatives acknowledgment for accomplishments in women’s health. Dr. Conry earned her medical degree from the University of California, Davis, where she also completed her residency in obstetrics and gynecology. She served as an Associate Clinical Professor at the University of California, Davis. She earned a Doctor of Philosophy degree in biology from the University of Colorado.